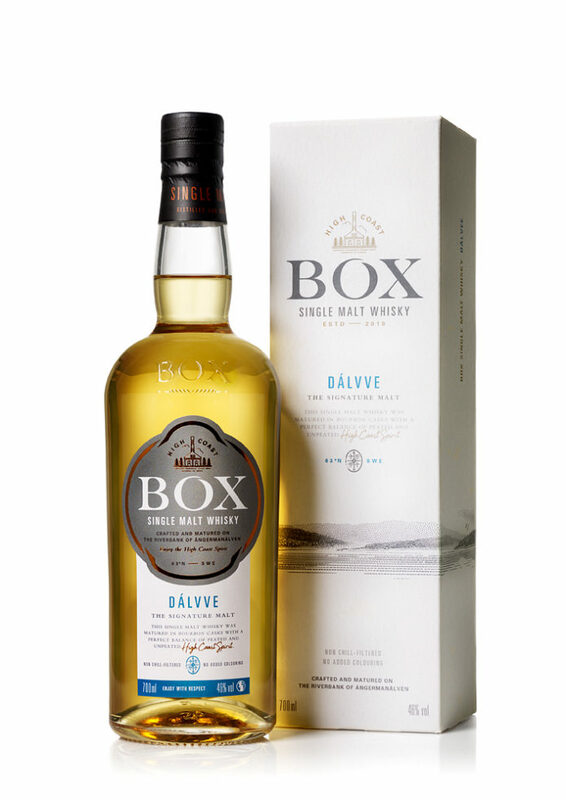 This is the third batch of Dálvve and it is matured in Bourbon casks and is a mix of peated and unpeated whisky. Vanilla and citrus in the smell. Lemongrass in particular. A little peat in the background. Fresh green apples as well. Very straight forward actually. The peat peeps a bit more out in the taste. The citrus is still there and the sweetness gets more intense. Vanilla and honey. Some wood spices is present as well, and especially in the finish, they come forward to do their magic! I love Box Destilleri! Why? Transparency! If you go to their website, you can see exactly how this whisky is put together, down to the yeast used! This is a fine all-rounder, and the balancer between peated and unpeated whisky is good. The wood spices tells me that there is a fair amount of first fill barrels involved in this. This is the first whisky I have tried from Box Distillery, but certainly not the last! I will give this 84/100 (21/21/21/21).